Blood Orange Sorbet by DNA Genetics combines many awesome qualities. 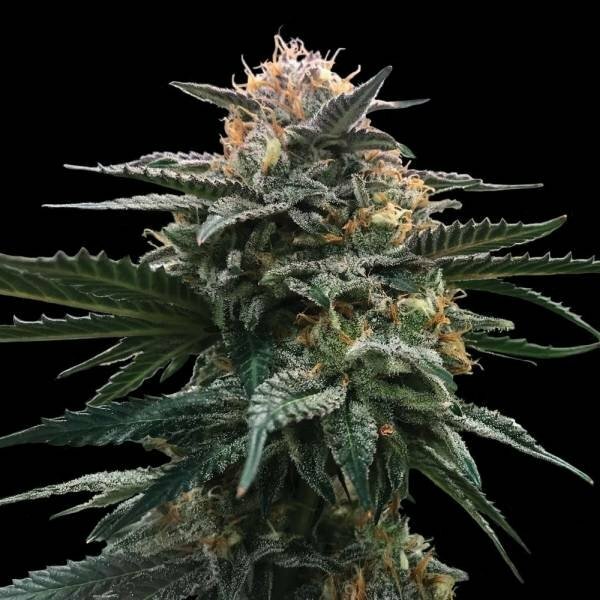 This great indica-dominant hybrid doesn’t just impress with a unique flavour, but also scores with a fast flowering time and good yields. And did we mention that she's very easy to grow? The breeders at DNA Genetics bring us yet another great addition to their Sorbet line of cannabis strains with Blood Orange Sorbet. Crossing Tangie with a Sorbet resulted in an indica-dominant plant that produces top-quality bud in no time. You can grow Blood Orange Sorbet indoors or outdoors. She grows to medium size, making her a viable option in most tents or limited grow spaces. As an added bonus, DNA Genetics managed to reduce the flowering time of the strain to a short 56 days, after which the uncomplicated plant will reward you with good yields up to 450–500g/m². When you smoke Blood Orange Sorbet, her effect is nicely balanced. Despite being slightly indica-dominant (60% indica), she provides the best of both worlds. You can enjoy the relaxing effect of an indica and the happy euphoria of a sativa. This makes the lady a wonderful all-rounder for chilling and relaxation, but also perfect if you still want to get things done. She's also a great social smoke to share with friends. An absolute highlight of Blood Orange Sorbet is her unique flavour. The sweet citrus notes of the Tangie go hand-in-hand with the creamy texture of the Sorbet, making for a mouth-watering taste that you will fall in love with. Careful, this lady can make it incredibly hard to put her down once you get a taste of her! If you’re looking for a great indica hybrid, Blood Orange Sorbet by DNA Genetics fully delivers. Plant your seeds now and get ready to enjoy quality bud that won’t disappoint!